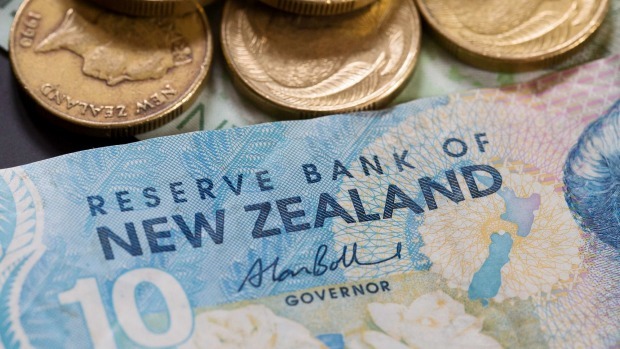 Yesterday we opened a buy forex signal in NZD/USD. As we explained that trade after we opened it, this pair has been in an uptrend for about a week. Yesterday, the price was retracing lower and we decided to go long since the retrace looked complete. But unlike other commodity Dollars which stopped the decline, the Kiwi continued to slide further today. 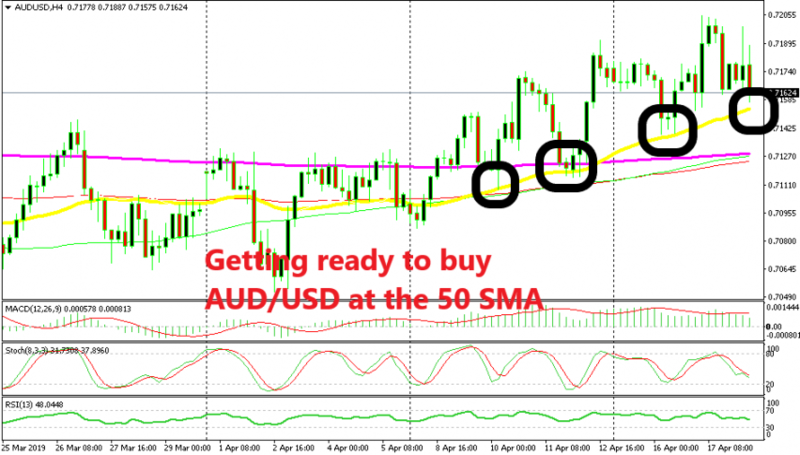 We picked NZD/USD since this pair was showing more resilience that the Aussie and the CAD yesterday. Today, it turns out that the Kiwi has become the weakest link. 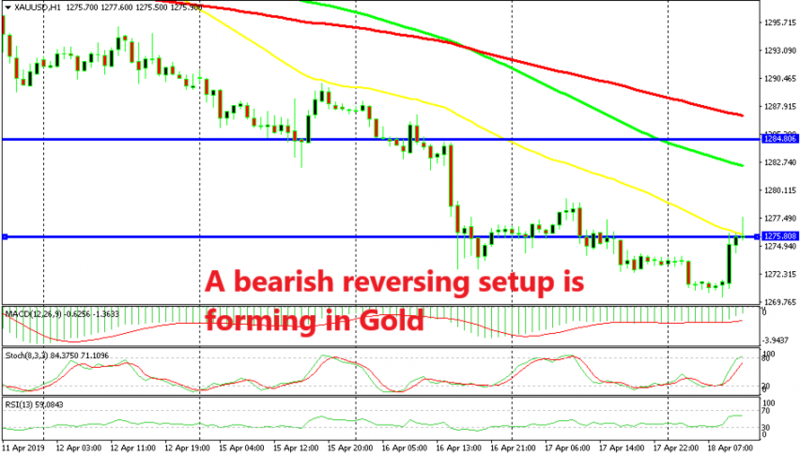 The sellers continue to push down and now the price is pretty close to the stop Loss (SL) level. NZD/USD is trading at 0.7248 now, while our SL is at 0.7242. I think we better move SL 10 pips lower to give this pair just a bit more room. But, there is one indicator which is stepping in to the job. 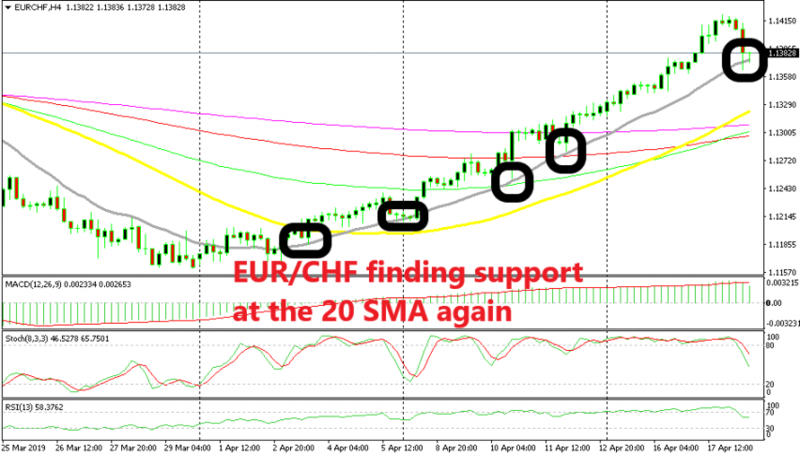 That indicator is the 100 SMA (green) which is providing support to this pair at the moment. The 100 SMA has provided support and resistance a few times in the last few weeks, so it is doing the same now. I just moved SL 10 pips lower at 0.7232. The stochastic indicator is now oversold on this timeframe chart and the 100 SMA is resisting, so hopefully this pair will reverse back up, fingers crossed.